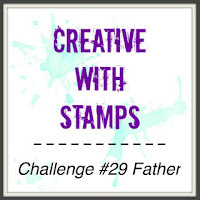 Creative With Stamps Challenge #29 is up and running with the theme of "FATHER". 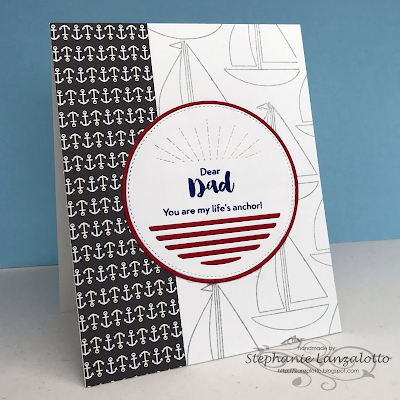 I thought it was an interesting theme choice for August, but CWS Challenge Co-Creator Lilian was born in Taiwan where Father's Day is celebrated on August 8th, and chose the prompt for this challenge. 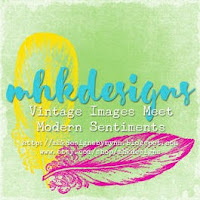 Challenge Sponsor is MHK Designs. Challenge winner will receive their choice of 3 products of their choice. As I looked through my stash to find things that would work, I decided on my sentiment first from Altenew's Precious Moments. I then turned toward a nautical theme choosing a red, white and blue color scheme. I used a strip of patterned paper on the left, and stamped sailboats on the right. I stamped the two pieces of the sentiment on the Every Day Circles die cut from Concord & 9th, and there you go! Inside, I stamped a Happy Birthday sentiment. My father is no longer with us, but this would be perfect for one of my sons to use for their dad's birthday. 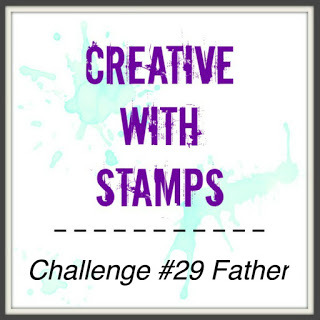 Please head on over to the Creative With Stamps Blog, check out what the Design Team has come up with to inspire you, and share your creation in the gallery. Happy 5th Birthday Male Room!!! 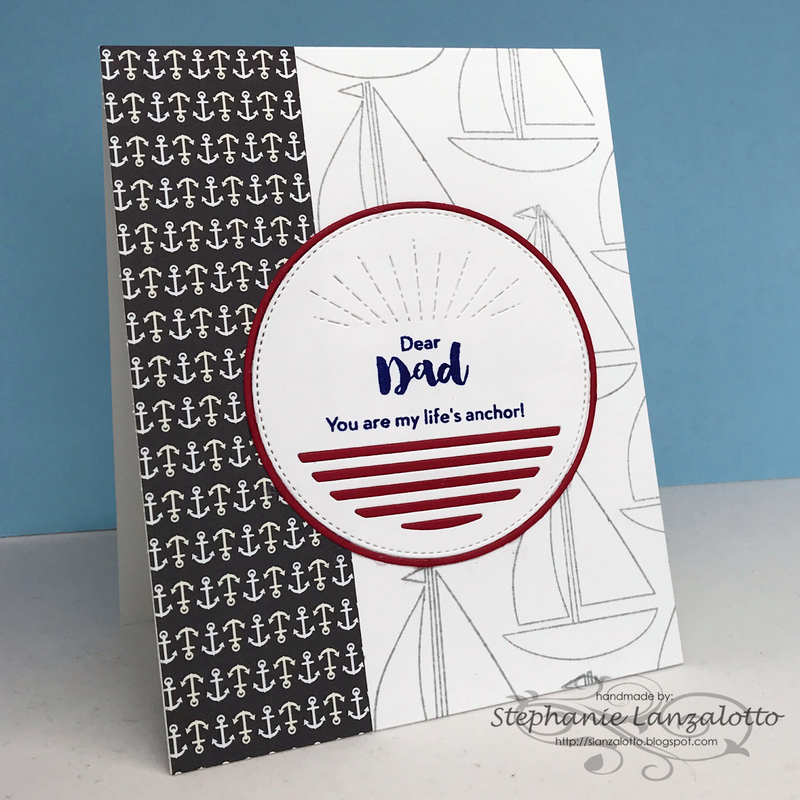 A wonderful background mix of stamping and paper, Stephanie, and a great tie-in with your sentiment. Thank you for playing with us at the Simon Says Stamp Wednesday challenge! Love the touch of red. Great mix of stamps and paper. Thanks so much for playing along at The Male Room Craft Challenge! Good Luck! 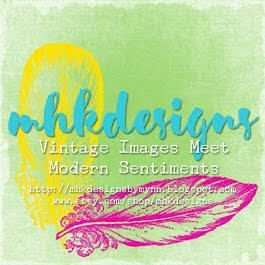 Love your background full of anchors and sailboats! What a great design! 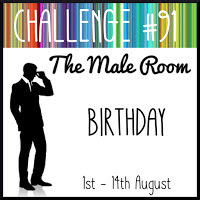 Thanks for playing along with us at The Male Room for the Birthday challenge. Looking forward to seeing your creative projects again. What a fabulous sentiment on a gorgeous masculine card. Thank you for sharing it with us at The Male Room.